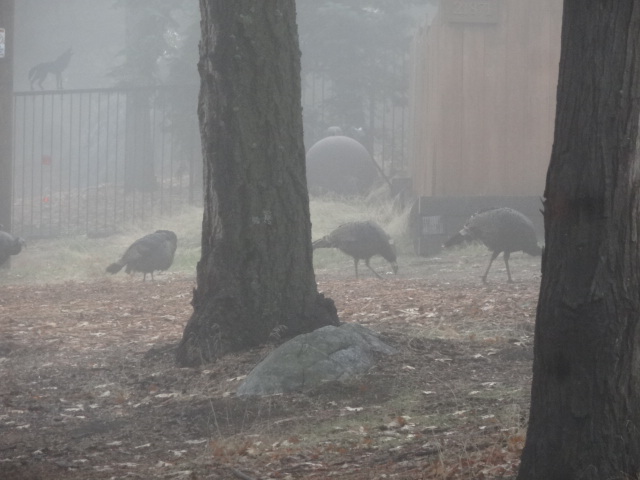 Turkeys Hiding out on Palomar – Happy Thanksgiving! 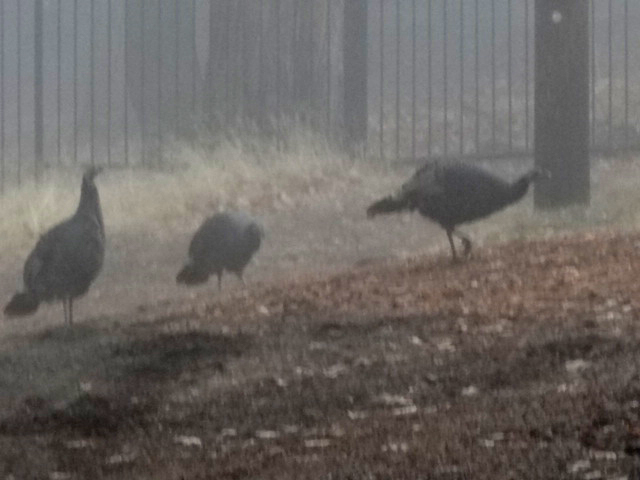 Driving along Crestline, I noticed quite a flock of wild turkeys having a wonderful time in the mist. 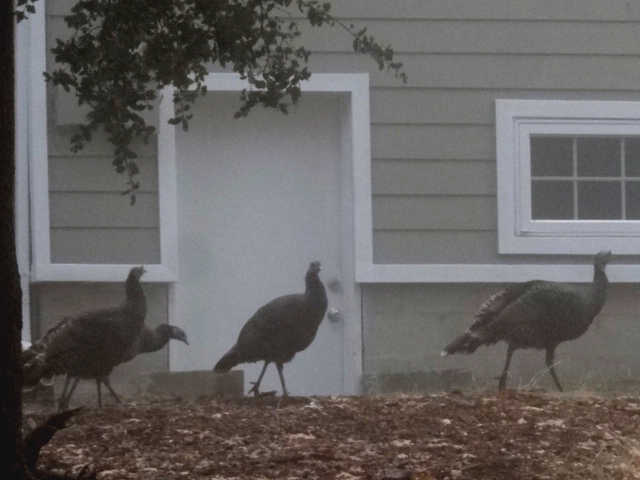 They know the perfect place to hide out this Thanksgiving. I counted about a dozen or so. 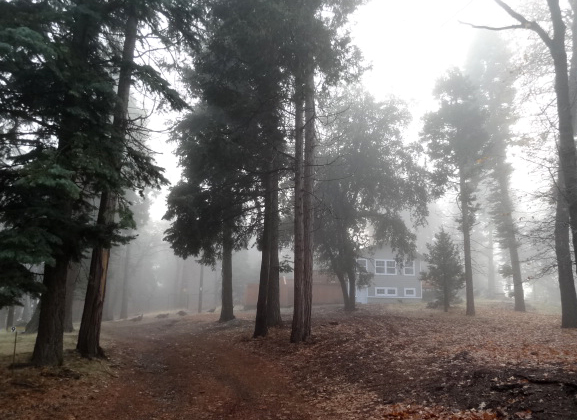 Just one of the little delights that I’m thankful for on this beautiful Mountain. 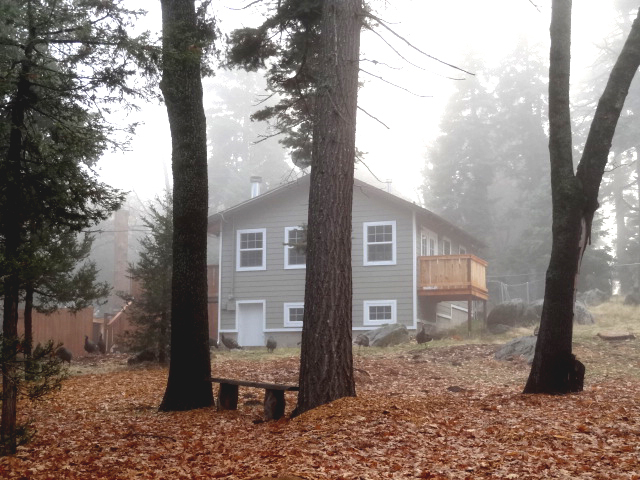 BTW, this cabin is for sale! Such a deal! It comes with free pets! May you all have a very wonderful Thanksgiving counting your blessings! God bless you all! Happy Thanksgiving to you and Don! Miss Palomar! 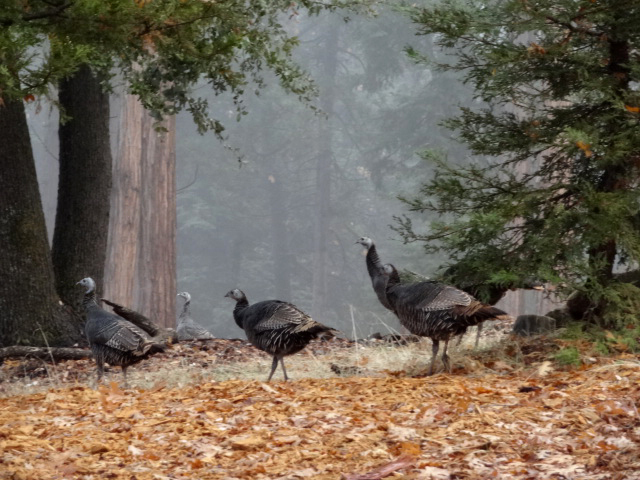 A few times on my property on South Grade I counted over 40 wild turkeys! It was an amazing sight!